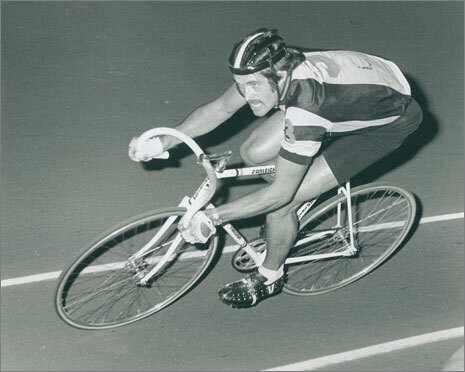 In the first part of our interview with Australian ace Don Allan we discussed his road career, for the second part we talk about his 107 six day starts - that's 642 days on the boards; 92 weeks. PEZ: You and Danny Clark are the fifth most successful team in six day history with 15 wins, 15 second places, 11 third places and 12 fourth places off 71 starts. Don Allan: Those statistics you have for the six days look right to me. I had four rides in six days in the '74/'75 season with four different partners, the first six was with Graeme Gilmore in Berlin. I had four more sixes the next season and rode with Danny for the first time in Herning, Denmark. The next season Danny and I started off in Berlin and rode really well; we got third place. We rode twelve sixes that season and that was the start of us forming a permanent team - we won our first six in Gent that season. PEZ: There are horror stories about the race programmes, back then? DA: Some of the sixes in those days were of the old fashion style and quite long hours and chases; Zurich was tough, Bremen and Copenhagen had long hours with afternoon sessions as well. Most of the German sixes had afternoon sessions; 2.00 pm till 5.00 pm from memory - and there were 18 sixes in the winter season in total in those days. PEZ: I believe that you weren't allowed to leave the stadium at some races? DA: Some of the venues didn't permit you to leave the stadium; but I can remember us sitting in the car park at Berlin to get some winter sun. PEZ: Which was the toughest six? DA: I found Zurich a tough six, it was a large track, 250 metres, fast with several long chases each night and going on until after midnight - well after. The German sixes were also hard with serious racing - the German audiences knew their racing, Berlin, Dortmund, and Munich were always fast. Rotterdam was a fast race, too. PEZ: Who were your toughest opponents? DA: Merckx-Sercu were fantastic - trying to go with them was like trying to jump on an express train roaring through the station. They rode in an aggressive style....catch us if you can. Sercu-Pijnen were also fantastic, Pijnen was perhaps the best pure chaser and when he teamed up with Patrick you had a super team. PEZ: How did you team up with Danny? 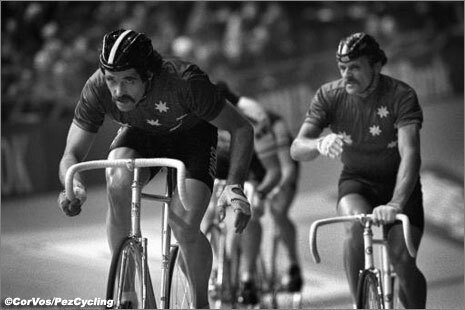 Don Allan: As I said, we had our first ride in a six at Herning - a few days after that race we rode a madison together in Copenhagen. We rode fantastically well there and beat all the top teams - then we started Berlin together next season. Danny was a fantastic partner, and we suited each other's style; it was great fun in the beginning breaking down that door together. Not that the other teams rode against us, but they didn't make it easy either. It was like we were on a mission together; we had some great wins and I have great memories. Danny had some shortcomings as a person, but I guess we all might have those. PEZ: How were you treated by the Australian media when you were at your zenith? 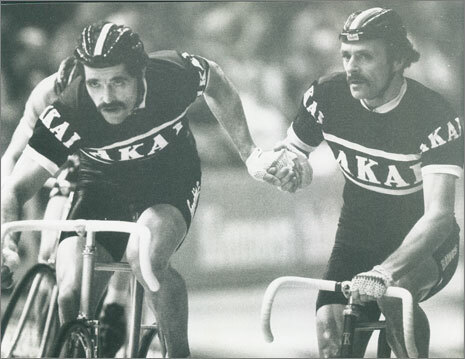 DA: Almost zero coverage - apparently there would sometimes be a snippet saying "Clark-Allan leading London Six Day," then nothing more - very seldom was there a photo or TV interview. 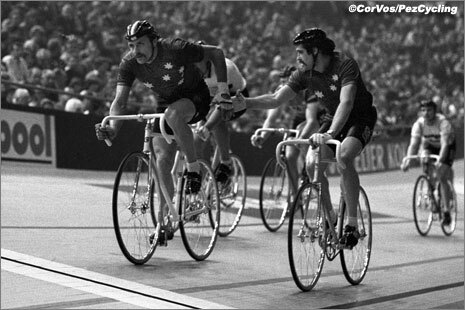 This was very disappointing to both of us and we both felt we didn't get the recognition we deserved - six day racing at that time was pretty big with many of the top roadies riding the sixes regularly, such as Knetemann, Raas, Merckx, Thurau and Moser. 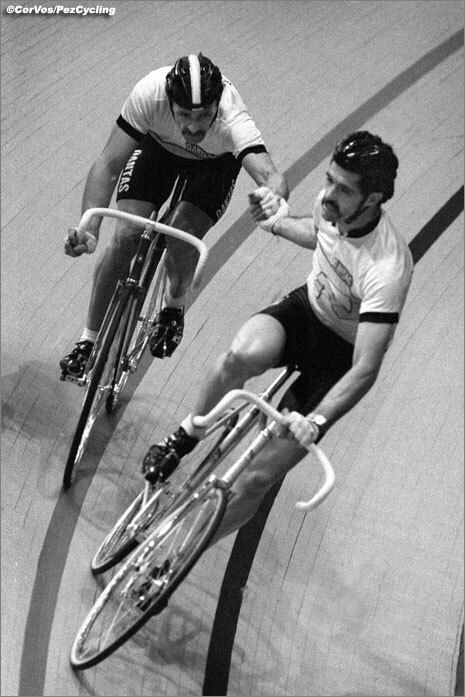 PEZ: You won the European madison championships together in '79. DA: Yes, winning a European madison championship would be like winning a Worlds, now. 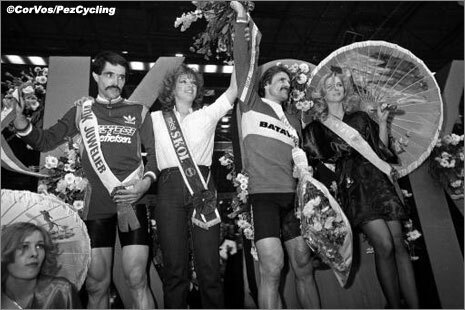 PEZ: You won Madrid with Faustino Ruperez - an unlikely six day man. DA: Ruperez wasn't a super track rider but he did ride well that year and I think some other times also. Often when they have a six like that with many roadies they split up the good six day teams to level the playing field, so to speak. PEZ: Did you have an agent to negotiate contracts? DA: The late Jan Derksen [Mr. Ten Percent, as he was known, ed.] was our manager but he was more a liaison between the race directors and the riders; I don't know if he pushed too hard for extra money for us. PEZ: How did you prepare for the sixes? DA: I trained where I lived in Holland and rode criteriums and kermises in Belgium. Kermises were good because they were about 140 kilometres long and gave you a good workout. I had a friend in Holland with a moped and would often ride behind that; and I believe that racing gets you fit. PEZ: Where were you based in Europe? DA: My main base was in Harderwijk in Holland, and then Copenhagen when I was living there, but I found Copenhagen too far away from everything and preferred Holland. PEZ: Why quit when you did? DA: I quit when I did because I had a terrible injury or wound which would not heal up, this nearly drove me mad; it was a large and deep split between my scrotum and inside thigh. I also felt it was time to stop - some directors were experimenting, changing teams and me being not as spectacular as Danny, I started to get some ordinary partners. DA: No regrets really. The only thing is we wish we had a home crowd to race in front of; London was great for us and the Germans appreciate good racing - but it's not the same as your own home crowd.